When I was a kid, I remember urging everyone at Thanksgiving dinner one year to grab a popcorn kernel and say what they were thankful for. I must have seen or heard about the idea from someone or somewhere (I’m not that creative!) and thought it was important to try it out that particular year. My family, bless them, went along with it. Let’s just say… the tradition didn’t exactly stick. But since Thanksgiving is on Thursday (and I’m nothing if not stubborn), I’d thought I’d #TBT it and bring the tradition back – this time, with a twist: For each kernel I “grab,” I’ll list the food or food-related items I’m most thankful for that can be found right here in mid-Michigan. Some, even, could be great additions to your Thanksgiving feast. (Oh, and I “grabbed” five kernels. You know, in case you wanted to participate, too). Kernel One: I’m thankful for the rum cake at Roma Bakery. Yes, it’s a thing. Rum + cake = A very real delight, and something for which Roma Bakery is well-known. Rum cake (one of the bakery’s Italian torte options) is a traditional Italian dessert that is essentially rum-soaked layers of sponge cake stacked on top of one another with layers of flavored cream in between. It’s frosted, and then almonds are pressed onto the sides. I know I exaggerate sometimes, but truthfully, nothing is quite like this cake. I’ve grown up eating this special dessert made by Sostine and Mena Castriciano, Roma Bakery’s owners, for years. They are family friends, so I can say this with certainty: They are as nice as they are fantastic artisans and business owners. But there’s so much more than cake at Roma! 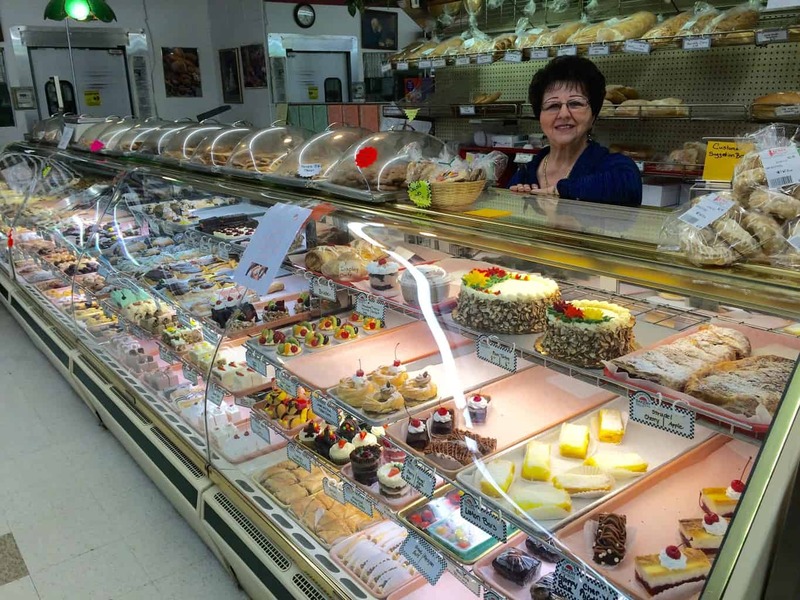 Along with other sweets and treats, there’s homemade pizza and bread, a variety of frozen prepared meals (that Mena makes herself) and so many specialty Italian food items. Kernel Two: I’m thankful for the white frosting-filled, chocolate-iced Long John doughnut at Quality Dairy. It has be the white frosting-filled one. There’s a Bavarian cream one, too, as well as more than 40 other doughnut varieties from plain to glazed bowties and so many others. 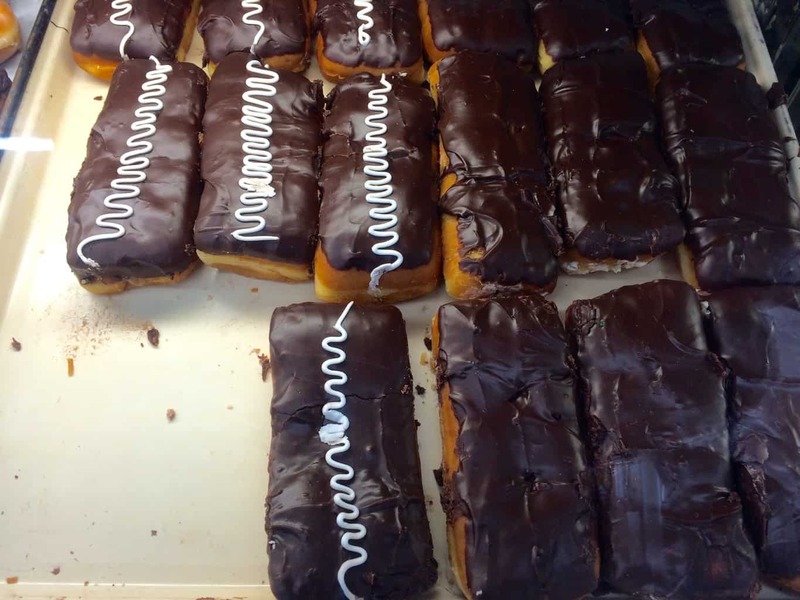 I mean, let’s be real, I will not turn down a doughnut (ever), but there’s something about the super-sweet filling and luscious chocolate frosting that put this particular Long John over the edge. I definitely got my sweet tooth from my dad, so this decadent treat reminds me of him and lazy weekend mornings. He would purchase a coffee-and-doughnut deal of some sort, and I was always one of the lucky recipients of these over-the-top confections. QD (that’s what we locals call it) is also known for its cider, assortment of baked goods, ice cream and, of course, milk. Kernel Three: I’m thankful for Jersey Giant subs (any of them, really). If I must choose favorites, I’ll defer to the subs I’ve ordered most frequently throughout the years: The namesake sub, The Jersey Giant (ham, capicola, salami, cheese) and the tuna sub. The fresh ingredients and toppings, locally-made bread and family recipe vinaigrette (seriously, it’s a proprietary blend that has 11 oils and 4 vinegars!) are what makes Jersey Giant top-notch and better than any of those other sub shops. Jersey Giant got its name from the home state of family who runs the business – the Slocums. 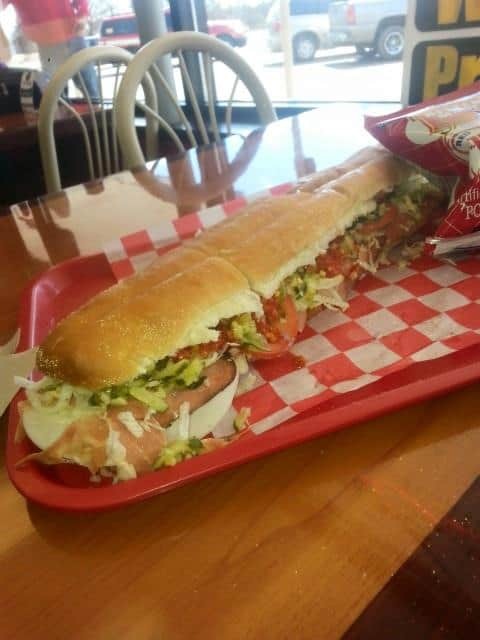 They came to Michigan from New Jersey in 1979 and brought with them the Jersey–style subs we in the area have come to rely on for a quick lunch, a party platter or an after-school snack (or maybe that was just me). Oh, and November is a special month for Jersey Giant: Nov. 18 marked its 36th birthday. Happy birthday to you, JG! There are many convenient locations in mid-Michigan as well as in metro Detroit, Kalamazoo and Portage. Kernel Four: I’m thankful for the antipasto/olive section at Horrocks. Everyone is buzzing about being able to shop and drink wine (pun…intended!) 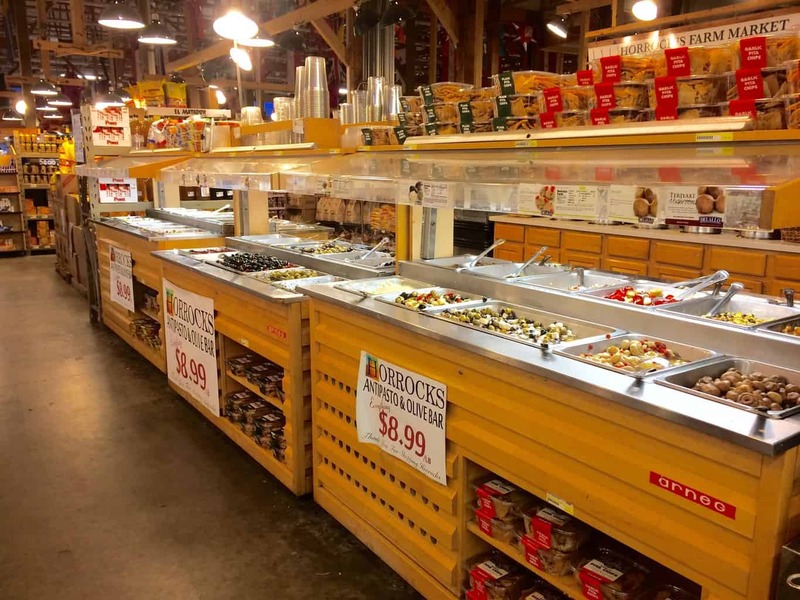 at Horrocks, but the soups, salads and dips at the antipasto and olive bar are what make me a superfan of this local farm market. They are a great add-on to any meal. Or, if you’re pressed for time, a great meal in and of themselves. You can load up on tasty and worldly flavors from Sicilian pasta salad to quinoa and beets to fajita chicken to hummus to a whole host of olives and everything in between. And if you’re anything like me, you will load up on everything because you can’t decide and because you can’t go wrong – with whatever you choose. Other great finds at Horrocks? Fresh produce, homemade peanut butter, a free coffee bar, beautiful fresh-cut flowers and arrangements, a dynamite plant nursery, an extensive wine selection and super-fresh meats and cheeses. In other words, I could live at Horrocks. 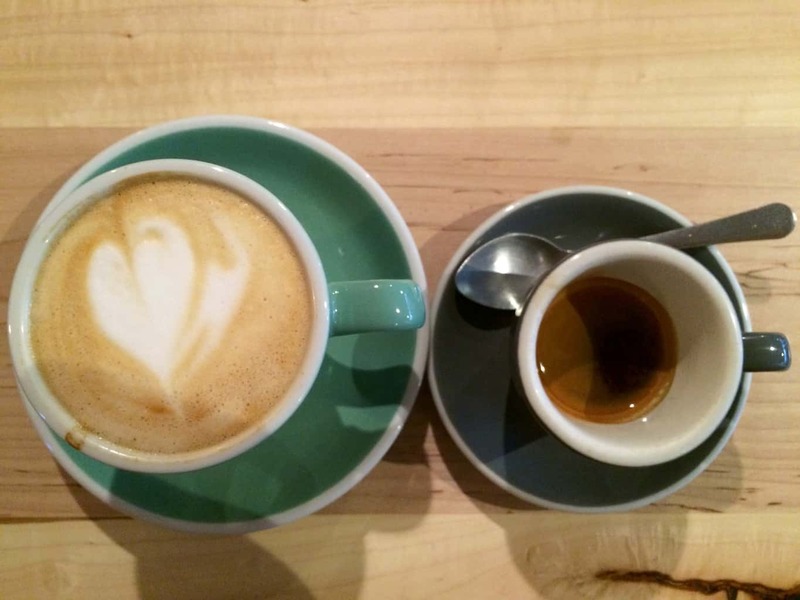 Kernel Five: I’m thankful for the traditional cappuccino at Strange Matter Coffee. Yes, I know – this one’s a drink and not technically food. But like my waistband on Thanksgiving, I’m 100 percent OK with this sort of stretch. The shop opened last August, and there has been excitement surrounding it ever since: The coffee drinks are that good. They have a straightforward menu with items like pour overs, espresso, lattes and mochas; many of which you can get hot or cold. My favorite? Hands-down, it’s the traditional cappuccino. It’s served with two shots of espresso – one in the cappuccino itself, and one on the side. The catch? You have to drink it in-store, but the drinkware is beautiful so you won’t mind. Trust me. (And please, please, please do not mention to my awesome Italian grandmother that I very much enjoy this cappuccino! Hers is my favorite, but Strange Matter’s is a close second)! So, those are the five kernels food items from mid-Michigan for which I’m thankful this year, and most every year. But, of course, feeling thankful around Thanksgiving time doesn’t require popcorn kernels to remind us of things that matter most or are near and dear to our hearts – but they certainly make it more fun. What food items are you most thankful for here in the Lansing area? Grab some popcorn kernels and tell me! Tagged businesses, Cappuccino, Coffee, Donuts, Doughnuts, East Lansing, Espresso, food, Jersey Giant, Lansing, Mid-Michigan, Quality Dairy, Roma, Roma Bakery, Rum cake, Sandwich, Strange Matter, Subs, thanksgiving. Greetings from mid-Michigan! (I'm waving at you all right now!) Michigan means a lot to me: It's home to Grand Ledge (my hometown! ), many of the people I love most, Michigan State University (my alma mater and my employer) and some of the most breathtaking scenery (no matter the season) I've ever seen. How lucky am I to live and work and have tons of fun in a place I love so much? Awesomely lucky.